It’s a sort of double whammy that is both interesting and co-incidental. 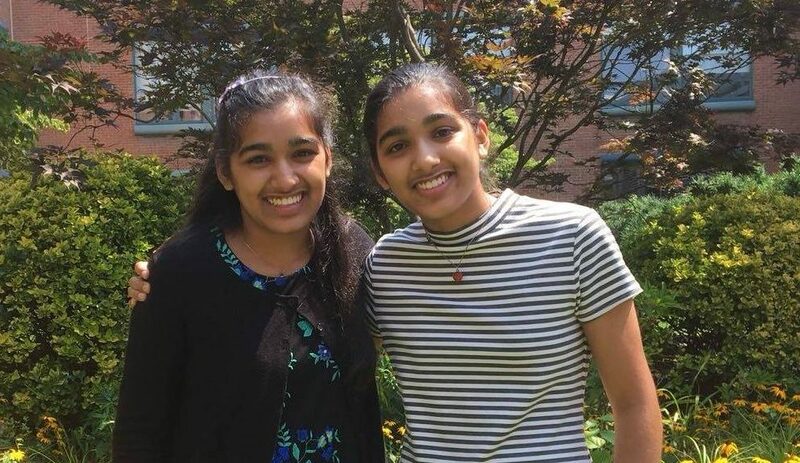 Two Indian American identical twin sisters — Anisa Verma Prasad and Sirina Verma Prasad — have been chosen as salutatorian and valedictorian at Staples High School in Westport, Connecticut. As Indian American kids continue to make great strides in academics in America, the twins taking the top two spots at Staples’ Class of 2019 comes as another great news for the community. A valedictorian is a student who has the highest academic achievements of the class and delivers the valedictory at a graduation ceremony. A salutatorian is a student who ranks second highest in a graduating class and delivers the salutatory. Traditionally, at Staples High School, the salutatorian speaks at baccalaureate and the valedictorian addresses the gathering at the graduation ceremony. The Prasad sisters who were able to secure the two most coveted honors bring a lot of fame to their family. The sisters, according to Patch.com, credit their teachers at elementary and middle schools for their achievements and consistent performances. “They prepared us very well for Staples,” Anisa Prasad told the website. It appears academic excellence runs in the family, which moved to the United States many years ago from London. While their father Gautam Prasad works in financial services in New York, mom Nita Verma Prasad is an associate professor of history at Quinnipiac University in Connecticut. The sisters shared many classes together because of similar interests. But the bright sisters are not just basking in their achievements for the moment. Coming up this Spring, is another competition they will be competing in – the Fed Challenge Contest as semi-finalists at the Federal Reserve in New York City. As summer beckons, the twins will head in May to Arizona for the Intel International Science and Engineering Fair. The twins are heavily into STEM and hope to major in the fields that interest them. But for now, there is a lot for them to look ahead including their winning speeches.